Shopping for a new Volkswagen Jetta? The 2018 Volkswagen Jetta’s price escalates quickly, but this year’s new Wolfsburg Edition offers a lot for the money. The 2018 Volkswagen Jetta is a competent, comfortable sedan, but it’s light on personality and feels a little old against fresh-faced rivals. The 2018 Volkswagen Jetta is a smaller sedan compared to the mid-size Passat, but they both follow the same template: more substance than style. The Jetta is roomy and sensible, with a relatively frugal base powertrain and low price. A new Jetta is on the way for 2019. This year, the Jetta is available in S, Wolfsburg Edition, SE, SE Sport, SEL, and zippy GLI trim, but all build on a design that debuted for the 2011 model year. 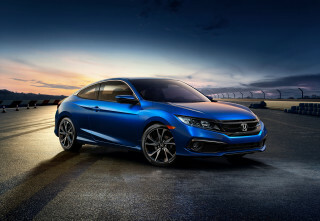 The Wolfsburg Edition, named after VW’s hometown in Germany, is a new addition to the lineup, as is the SE Sport with its 170-horsepower engine. All variants see some minor equipment shuffling and modestly revised styling. You’ll have to squint to see the grille changes, but the new wheels on most trim levels stand out more. Also, VW has dropped the HID headlights that were included on last year’s Jetta SEL and the GLI loses its formerly standard manual transmission. Additionally, the Jetta lineup now includes a 6-year, 72,000-mile bumper-to-bumper warranty that doubles last year’s coverage. That’s a big selling point for us, especially since the warranty can be transferred to subsequent owners. The Jettas you’ll most commonly find on dealer lots use a turbocharged 1.4-liter inline-4 rated at 150 hp and 184 pound-feet of torque. A 5-speed manual is standard and a 6-speed automatic is on the options list. SE Sport and SEL trim levels use a larger and thirstier 1.8-liter turbo-4 that adds 20 hp but can only be paired with the automatic. Jetta GLIs have their own suspension settings, a sportier look inside and out, and a 210-hp 2.0-liter turbo-4. Despite their sporty positioning, Jetta GLIs are only available with a 6-speed dual-clutch automatic with paddle shifters. Most models have a demure demeanor with a softly sprung suspension, although the GLI’s beefed up underpinnings make it a hoot to push through a curvy canyon road. Though the Jetta’s conservative styling isn’t its biggest selling point, VW has managed to give its compact sedan rear-seat room more akin to a mid-size four-door. There’s plenty of stretch-out space for four adults and the 15.7 cubic foot cargo capacity is on the high side for this class. No Jetta feels particularly upscale inside and what feels like leather upholstery on SE and higher trim levels is actually hard-wearing leatherette—a fancy word for vinyl. Higher trim levels have a 6.3-inch infotainment system with Apple CarPlay and Android Auto that’s easy to use. The Jetta has performed well in crash-testing, but VW reserves high-tech safety features like automatic emergency braking and adaptive cruise control for only the pricey SEL trim level. 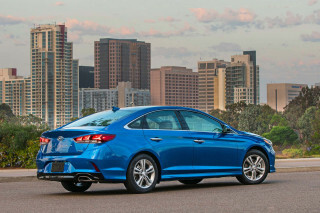 Jettas with the 1.4-liter engine and the automatic—in other words, the vast majority—earn up to 38 mpg on the highway. That’s a commendable figure given how strong this engine feels in everyday driving. The 2018 Volkswagen Jetta’s anonymous styling takes no risks. Outside, crisp lines and minimal detailing make the Jetta look pleasantly upscale—almost like a downsized Audi from about a decade ago. All trims now have alloy wheels that range from 16inches on S and SE to 18s on the range-topping GLI. Most versions get a new chrome grille design this year that frankly doesn’t look much different than last year’s. The Jetta Wolfsburg Edition, SE Sport, and GLI have slightly different bumpers and some details unique to each trim, but you’ll have to be a real fan to notice. Inside, the Jetta is similarly inoffensive with its symmetrical dash layout. There’s nothing notable about the execution aside from lots of switch blanks around the gear lever on even the GLI. Interior shades of gray, black, and beige are available on most trim levels. With three turbocharged engines and a balanced chassis, the 2018 Volkswagen Jetta has a mature, almost sporty feel. Jetta S, Wolfsburg Edition, and SE trims make use of a turbocharged 1.4-liter inline-4 engine rated at 150 horsepower and 184 pound-feet of torque. A 5-speed manual is standard. 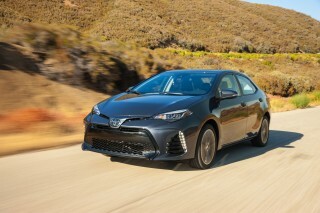 Even though it’s short a gear compared to most rivals with 6-speeds, it’s good for up to 40 mpg on the highway, according to the EPA. The transmission is fine with a precise feel and a light clutch, but most Jetta buyers will undoubtedly spring for the optional 6-speed automatic. Aside from an occasionally clunky feel at low speeds, the automatic delivers smooth shifts and mates well to the torquey 1.4-liter engine. 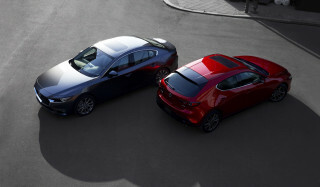 SE Sport and SEL trims include an older design 1.8-liter turbo-4 rated at 170 hp and the same 184 lb-ft of torque. The 20 hp boost is noticeable, but probably not enough to justify a hefty 4 mpg combined fuel economy hit on the EPA’s test for most drivers. Pop for the Jetta GLI and you’ll get the automaker’s excellent 2.0-liter turbo-4 with 210 hp and 207 lb-ft of torque. This strong engine provides the Jetta with robust acceleration thanks to peak torque at just 1,700 rpm. Unfortunately, VW no longer offers the Jetta GLI with a manual transmission—it’s 6-speed dual-clutch automatic transmission or bust, which seems at odds with the GLI’s sporty positioning. On the other hand, the dual-clutch gearbox fires off ultra-fast shifts and works great with the standard paddle shifters pinned to the steering wheel. With its relatively long wheelbase, the Jetta rides well—especially on the 16-inch wheels and tires fitted to S, Wolfsburg, and SE trim levels. 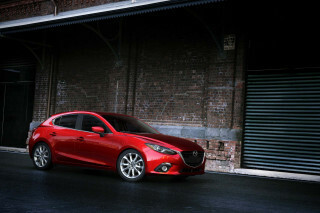 The 17s on SE Sport and SEL firm things up but don’t exactly turn it into a sports sedan. That’s where the Jetta GLI comes in. It’s crisp and polished and its grippy rubber clings to the road in more spirited driving. 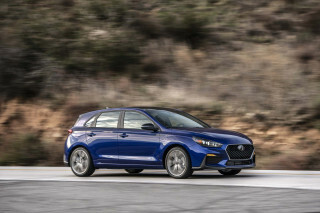 GLIs have the highest effort steering, but all Jettas feature a nice, well-weighted setup that makes them feel more precise than is typical for a compact sedan. Even the humblest of Jettas imparts a confidence-inspiring feel that helps turn the most basic highway on-ramps into a mini road-course. Although not exactly ritzy inside, the 2018 Volkswagen Jetta is very roomy. Front seat passengers are treated to firm seats covered in grippy cloth on the Jetta S and leatherette elsewhere. Don’t let the dealer fool you into think that VW’s synthetic leather is the real McCoy, but it’s hard-wearing and cleans very easily. A full power driver’s seat is restricted to SEL and GLI trims, but every Jetta has adjustable lumbar while heated front seats are standard on all but the S (where they’re optional). The Jetta’s real asset is in its back seat, which has more than 38 inches of available leg room and 37.2 inches of head room. Those are figures that wouldn’t be out of place in a larger sedan. So too the Jetta’s nearly 16 cubic foot trunk—but the lid is mostly bare metal inside where rivals have nice covers and the hinges dig into the cargo area. The Jetta’s interior is a mish-mash of hard plastics on the doors and center console and a soft-touch dashboard. There’s little here that imparts an upscale look and feel, but the cars we’ve driven have felt well-assembled. One stand-out, however, is the mass of switch blanks surrounding the gear lever on even the most loaded-up Jetta GLI. Good crash test scores elevate the 2018 Volkswagen Jetta’s safety rating, but we wish its advanced safety tech was available at a more reasonable price point. The 2018 Volkswagen Jetta has good crash-test scores, but its advanced safety tech is limited to only one trim level. All 2018 Jetta sedans have a rearview camera, six airbags, stability control, and anti-lock brakes. 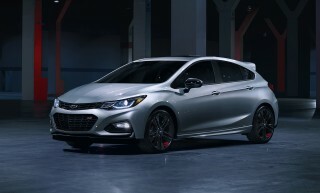 Blind-spot monitors and rear cross-traffic alerts are included on SE and higher trim levels. But the most advanced tech—automatic emergency braking and adaptive cruise control—is only included on the Jetta SEL, which starts at over $27,000. That’s a shame since many rivals have made those features available for far less. The 2018 Jetta crashes well, according to the IIHS and the federal government, however. The IIHS gave it top, "Good" scores on all crash tests except the passenger-side small overlap test, where it was rated as "Acceptable." The agency rated the Jetta's headlights as "Marginal." The feds rate the Jetta at five stars overall, albeit four stars for frontal crash and four for rollover. The 2018 Volkswagen Jetta lineup is simple to work through, but also a little pricey against rivals. This year, VW made myriad changes to the 2018 Jetta’s optional and standard equipment. The Jetta S is the gateway to the lineup and it comes with 16-inch alloy wheels, power windows, locks and mirrors, cloth upholstery, Bluetooth, a rearview camera, and a 5.0-inch touchscreen audio system with a single USB input and four speakers. Optional on the Jetta S is a $495 package that adds heated front seats and heated windshield washer nozzles. It’s the only option package available in the lineup. The new-for-2018 Jetta Wolfsburg Edition adds fog lights, a leather-wrapped gear lever, an armrest for rear-seat passengers, synthetic leather upholstery, and heated seats. 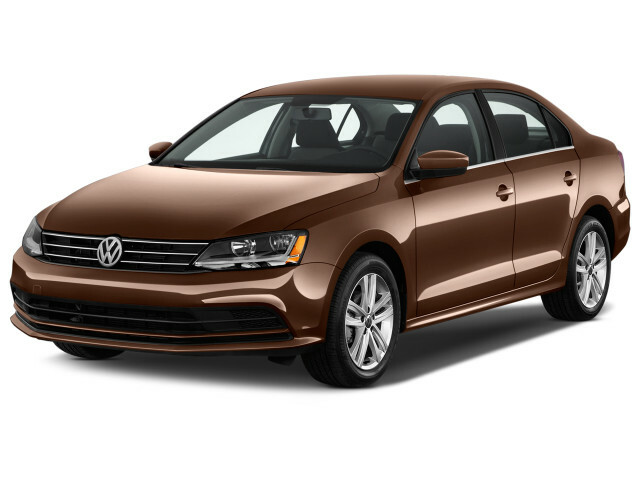 Next up is the Jetta SE, which features a moonroof, a leather-wrapped steering wheel with audio controls, keyless ignition, blind-spot monitors, satellite radio, and a 6.3-inch touchscreen infotainment system with several available smartphone apps. Jetta S, Wolfsburg, and SE trims come standard with a 5-speed manual and offer a 6-speed automatic for an extra $1,000. This year, a new Jetta SE Sport joins the lineup. It’s fitted with the larger 1.8-liter turbo-4, a stiffened suspension, 17-inch alloy wheels, and a unique body kit, but you won’t find a stick-shift. 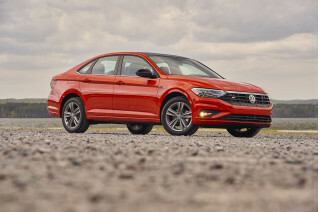 The Jetta SEL takes away the buff looks and beefy suspension, but keeps the 1.8 and adds a power driver’s seat, dual-zone automatic climate control, Fender-branded audio, forward-collision warnings with automatic emergency braking, and adaptive cruise control. At a hair over $27,000, it’s rather pricey for a compact. The sports sedan-like Jetta GLI tops $30,000 but has its own suspension setup, 18-inch wheels, sports seats, paddle shifters, and a few other goodies. 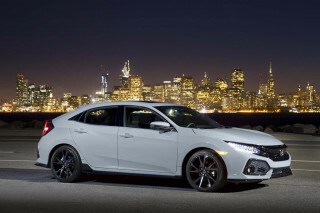 However, it does without the forward-collision warnings with automatic emergency braking and adaptive cruise control. This year’s new 6-year, 72,000-mile warranty is among the best in the business, especially because it can be transferred to subsequent owners. The 2018 Volkswagen Jetta’s base engine is thrifty, but more powerful choices are a lot thirstier. The most popular version of the 2018 Volkswagen Jetta returns excellent fuel economy, according to the EPA’s test. Our rating is based on the automatic transmission Jetta S, Wolfsburg Edition, and SE trim levels, which are rated at 28 mpg city, 38 highway, 32 combined. Opting for the 5-speed manual improves things to 28/40/33 mpg. The 1.8-liter engine on Jetta SE Sport and SEL variants is an older design and guzzles a lot more fuel despite only adding 20 horsepower. It’s rated at 24/33/28 mpg with the mandatory automatic transmission. The Jetta GLI comes only with an automatic as well, but its much more powerful 2.0-liter engine is rated at a decent 24/33/27 mpg. Looking for a different year of the Volkswagen Jetta?